Is the LLL .com market losing its steam? :DomainGang Is the LLL .com market losing its steam? LLL .com and the Chinese domain investors. In recent weeks, the LLL .com market shows signs of losing steam. One of the longest category of “coin” domains that retain liquidity, three letter .com domains witnessed a huge increase in valuation over the years. 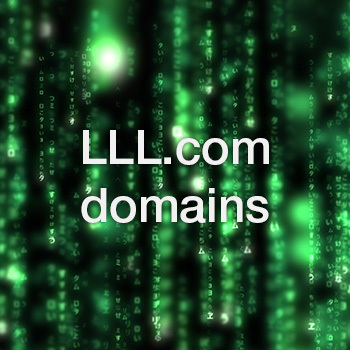 In the early 2000’s one could get random letter LLL .com domains for prices ranging between $1,000 and $3,000. During a legendary live domain auction at DNForum 15 years ago, then owner Greg Ricks sold many LLL .com domains for $600 – $1,000 a piece. Prices have climbed since, and depending on the letters involved, secondary market sales of LLL .com domains have reached six figures or, as in the case of fly.com, seven figures. The Chinese domain market welcomed owners of “junk letters” with open arms; all of a sudden, JQXZ letters became valuable and such three letter .com domains began selling for mid to high five figures USD. In recent weeks, however, LLL .com auction results should be causing concern to domain investors that spent good money to acquire such domains, with the intent to resell. Examples of recent sales, such as that of EEH.com for $23,100 dollars, YUO.com for $17,000 dollars, along with UJW.com for $14,000 and YIL.com for $18,000 dollars show that the reseller aftermarket is adjusting downwards. End-user acquisitions are becoming more rare, but they should retain their strength for years to come. Word to the wise: If you own LLL .com domains, do not park them, or you might risk getting hit with a UDRP. Notice how the industry veterans are constantly admonishing the newbies to “drop all your lousy domains, and buy one or two solid ones.” While I wouldn’t say that that’s terrible advice, the data/reality you’ve presented in this post is EXACTLY what most unseasoned domainers fear, i.e., making a 5-figure investment in a ‘great name’ (likely owned by a veteran domainer), only to have it collapse in value. Granted, that an investment in any asset, or asset class, is risky, and losses can happen whether you bet on stocks, bonds, real estate, etc. But in NONE of those cases would the investor have such a legitimate basis for casting (some) blame on the industry influencers – as they would in our industry. I just think that most domainers would rather lose five figures on names that they purchased/registered, based on their uninfluenced gut instincts, than put $30K or $40K on a ‘quality’ LLL.com – which they purchased from another domainer -, only to get half that amount at an auction two years later. Thanks for sharing and advise. Just a rare buyer’s market. LLL.com going “down”? thats a bluf and it wont last long. Kemji – It’d be a “bluf” (is that a word?) if it happened once. It happened several times. No interest = drop in prices. The new g’s are and will affect pricing across the board. It’s just starting to be noticed sooner with domains such as these. Big companies are starting to use gTLDs…..